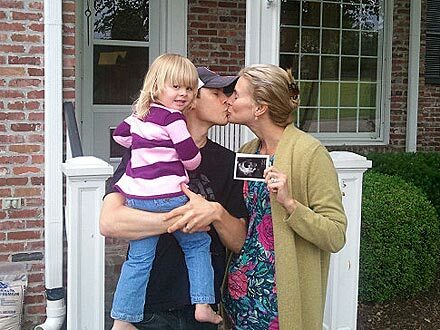 Niki Taylor is pregnant with baby number 4. The baby news was shared on Twitter Wednesday, where Niki posted a message saying, "Guess what's in this photo?" attached to a picture of Taylor holding an ultrasound image. A second photo quickly followed, showing Taylor kissing husband Burney Lamar as he holds their daughter Ciel, 2, writing, "YES!! We are expecting our fourth child! So happy and blessed!" The model, 36, is also mom to identical twins, Hunter and Jake, from a previous marriage.